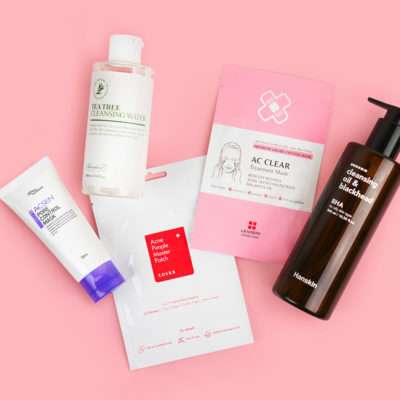 Interested in double cleansing but have some questions? Below, we explain how the method works and share our favorite cleansing duos for each skin type. If you’re hoping to change your skin for the better, double cleansing is the very first step you should take. 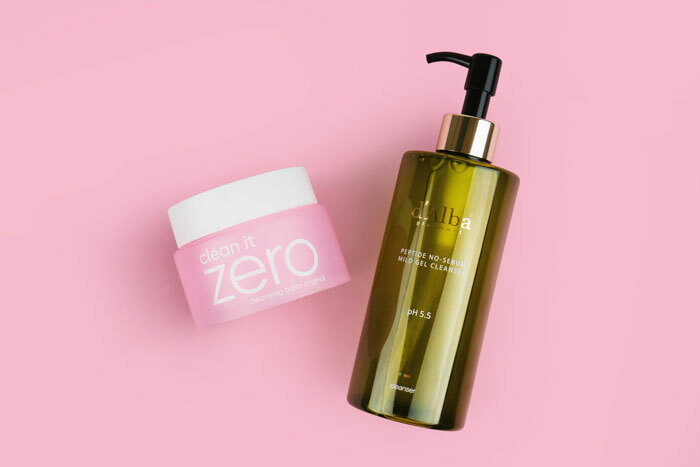 Whether your skin is chronically dry or uncontrollably oily, double cleansing is important because it ensures all impurities are effectively removed from your skin, including makeup, SPF, dirt, and even pollutants. Oil cleanser gently sweeps away oil-based debris including sebum, makeup, SPF, and pollutants. To use, pump or scoop the oil cleanser into your hand and massage into your skin in gentle upward motions. Then add water to emulsify the product and massage again. It should create a milky consistency. Then, rinse with lukewarm water. A water-based cleanser, also known as a foam or gel cleanser, draw out impurities like sweat and dirt, which are water-based. After you’ve rinsed off your oil cleanser, massage it into your skin, using the same gentle upward circular motions, then rinse. 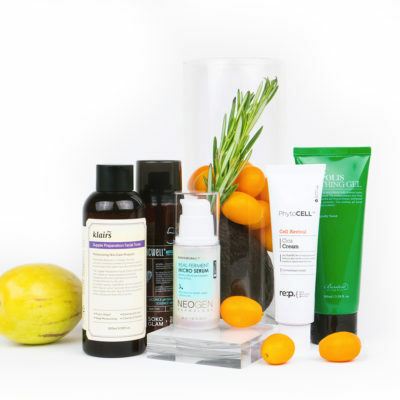 The best cleansing products go beyond just removing impurities, though. Depending on your skin type and concerns, you might want one that also hydrates, balances, or exfoliates too. Below we’ve shared some options that check those boxes. Read on to find the best duo for you. An oil cleanser is a must if you have oily skin because you need oil to properly break down the excess sebum on your face. But that doesn’t mean you have to make your face an oil slick each time and silently suffer in your bathroom. The Hanskin Cleansing Oil & Blackhead [BHA] ($25) is formulated for those with oily skin types. In addition to astringent cleansing oils like lemon peel and grapefruit oils, it contains salicylic acid to exfoliate pores and help prevent and treat blackheads and acne. The perfect complement to this cleansing balm is the Benton Tea Tree Cleansing Water ($17). If you have oily skin, you might gravitate towards cleansers that leave your skin squeaky clean, but doing so actually dries out your skin, which then forces your skin to produce even more oil to compensate for the lack of moisture. The Benton formula is gentle, fragrance-free, won’t strip skin, and is packed with tea tree leaf water to not only provide added acne-fighting benefits, but calm any inflammation and redness. Combination skin feels like your skin is consistently going through seasonal changes – it’s dry in some places but oily in others, and your skin may feel different every single day. In that case, look for hydrating cleansers that don’t leave a greasy residue. 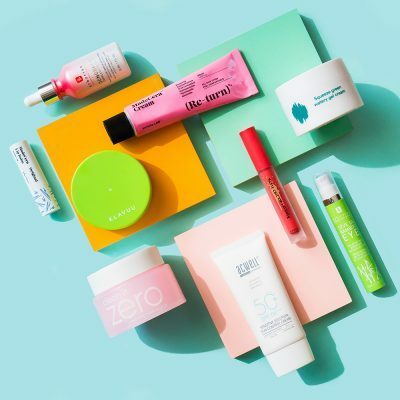 The Banila Co Clean It Zero Cleansing Balm Original ($19) has a new and improved formula that is free of mineral oil and instead contains a more skin-friendly natural ester oil, plus vitamin E acetate. Reviewers love it because it rinses off easily and makes skin feel clean, but never dry. We’d pair it with the D’alba Piedmont Peptide No-Sebum Mild Gel Cleanser ($35). It contains AHAs and BHAs to deep-clean pores and exfoliate skin for a brighter, more even complexion, in addition to amino acids that balance skin. 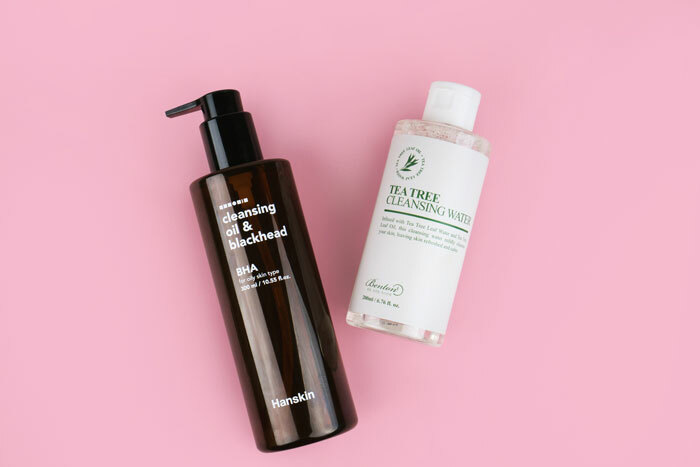 If you’ve ever dealt with tightness or greasiness after a cleanse, this double cleansing routine will help keep your combination skin under control. If your skin is sensitive, you might be hesitant to use too many products in your skin care routine. 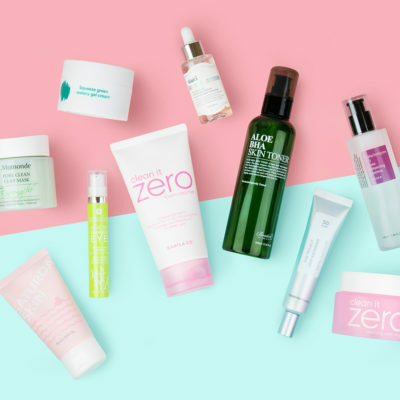 Luckily, there are many cleansers out there made for sensitive skin types that are free of common skin-irritating ingredients. 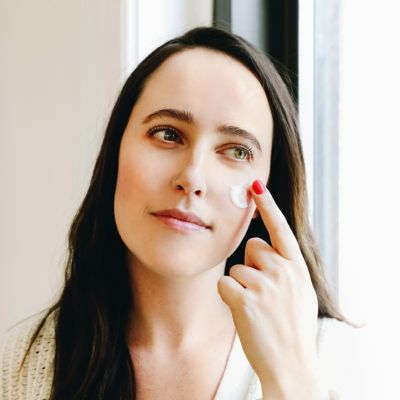 At the end of the day, you’ll still have to experiment to identify what works for your skin and what doesn’t, but if you’re serious about skin care, using products specifically designed for sensitive skin types is a good way to start. The Beauty of Joseon Radiance Cleansing Balm ($27) has a unique and gentle sherbert-like texture that removes makeup and sunscreen without tugging. The formula is powered by natural, nutrient-rich hanbang (traditional Korean herbal medicine) ingredients that calm irritation caused by environmental stressors, brighten, and moisturize. For an extra dose of soothing ingredients, follow the cleansing balm with the Neogen Real Cica Micellar Cleansing Foam ($15). As its name implies, the star ingredient is cica, an effective inflammation-fighter, along with calming green tea. 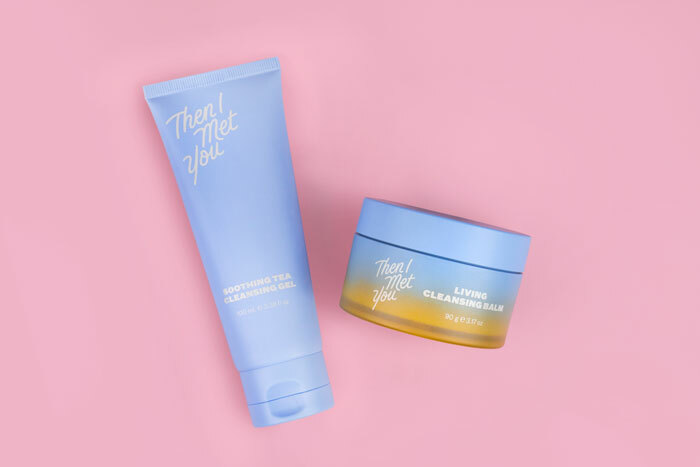 The Then I Met You Living Cleansing Balm ($38) gets its orange color from the formula’s high concentration of sea buckthorn oil, a fatty acid and antioxidant-rich ingredient that hydrates, heals, and protects skin from wrinkle-causing environmental damage. The soft, luxurious balm also contains ingredients like olive oil, grape seed oil, and vitamin E that replenish and nourish skin while melting away impurities sans residue. 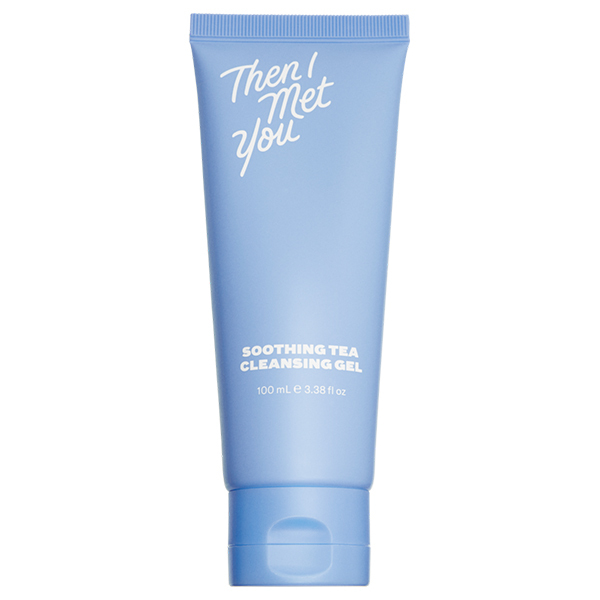 The brand’s companion product is the Soothing Tea Cleansing Gel ($36), a sulfate-free formula with antibacterial and gentle cleansing agents, along with hydrating sodium hyaluronate, calming centella asiatica and tea tree leaf, and brightening licorice extract and rice ferment filtrate. While great for normal skin, some dry types may need a more moisturizing formula. If that sounds like you, we recommend pairing the Living Cleansing Balm with a product like the Thank You Farmer Back to Iceland Cleansing Water. It contains Iceland moss extract-infused water to calm inflammation and feed a thirsty complexion. Double cleansing is a universally used practice by dermatologists and estheticians around the world. Why? Because it’s the best and most thorough way to cleanse your skin. A good double cleanse will yes, remove both makeup/oil-based debris and water-based debris from the skin, but also leave your skin looking and feeling softer, clearer, and more hydrated. +What are your favorite cleansing duos? Share in the comments below!